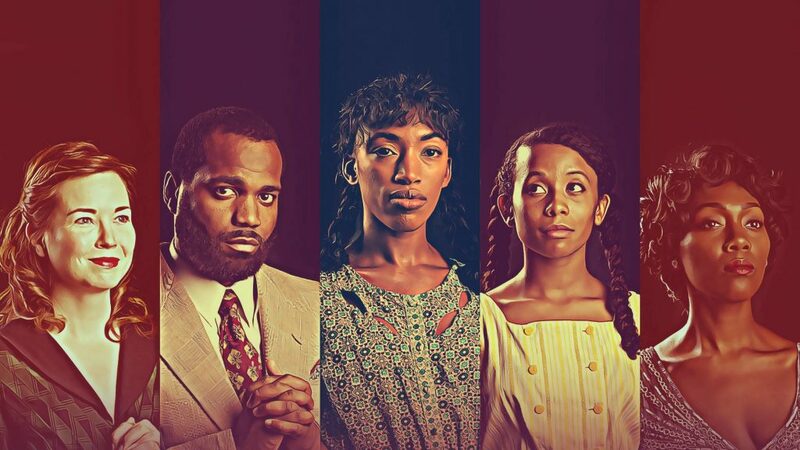 front) Rashada Dawan with back Emma Sipora Tyler and Tyler Symone in Firebrand Theatre and TimeLine Theatre Company’s production of CAROLINE, OR CHANGE, directed by Lili-Anne Brown. Photo by Marisa KM. Flyin’ West at American Blues Theatre. 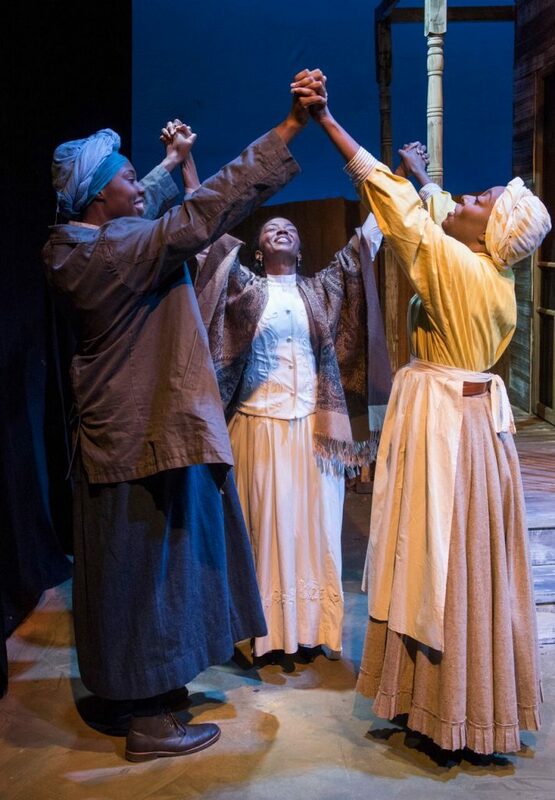 Written by Pearl Cleage & directed by Chuck Smith , Flyin’ West is Joseph Jefferson Award recommended! Be sure to support this stellar cast. Flyin’ West runs until Nov. 3. Click here for ticket information. Crumbs From the Table of Joy at Raven Theatre. Brooklyn, 1950. Ernestine and Ermina Crump have moved to New York with their father, Godfrey who is seeking spiritual guidance from a man called Father Divine. In the swirling, glamorous commotion of this new city, with calls for equal rights and communist rebellion hanging in the air, the girls begin a journey towards independence and a challenging future. Click here for ticket information. 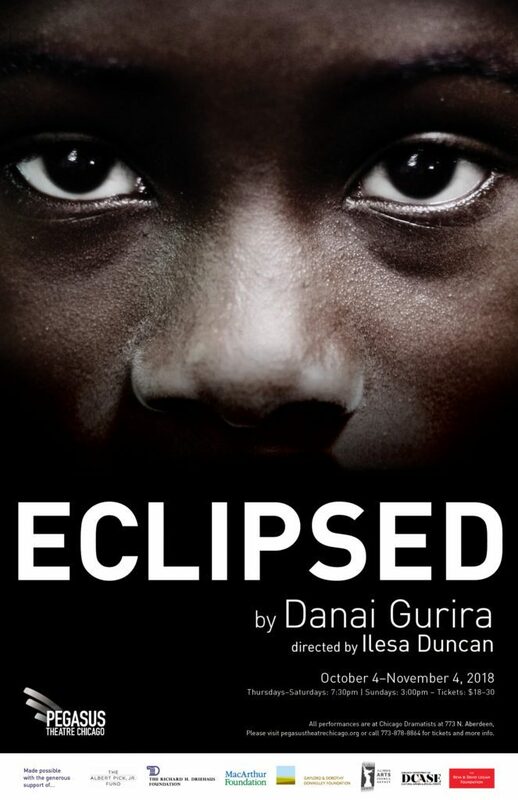 ECLIPSED by “Black Panther” star Danai Gurira at Pegasus. Click here for ticket information. 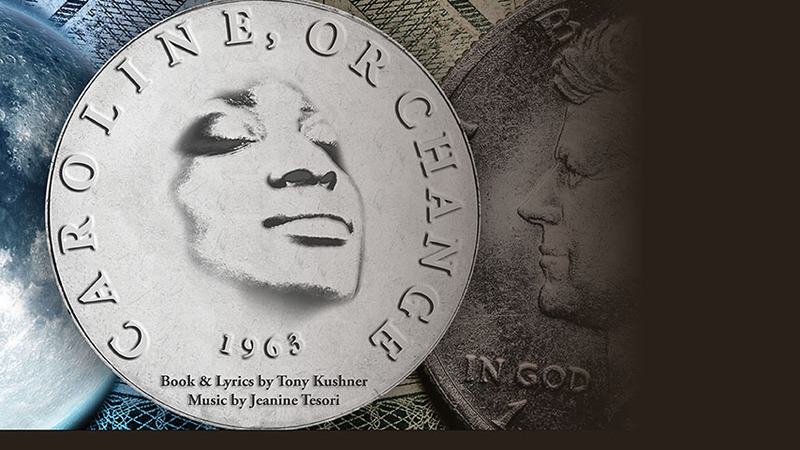 Caroline, Or Change at The Den Theatre – CAROLINE, OR CHANGE is set in Lake Charles, Louisiana: the end of 1963. America is changing. 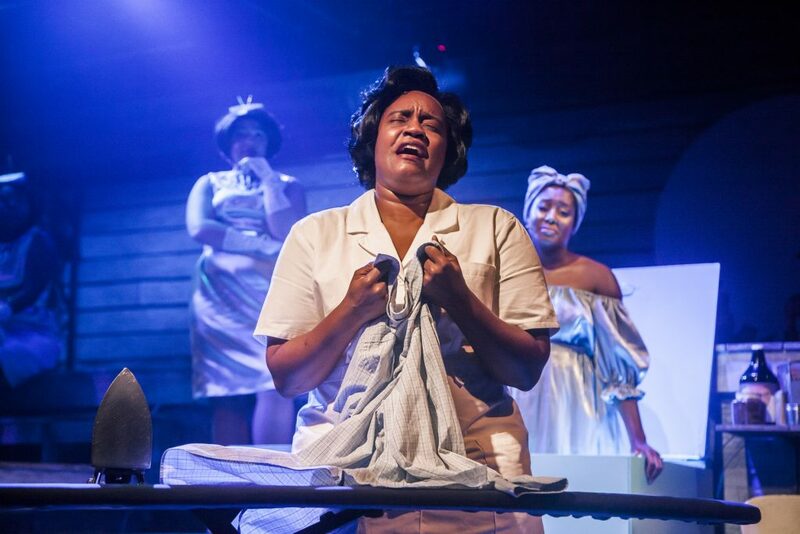 Caroline Thibodeaux is a black mother of four and a maid, working for the southern Jewish Gellman family. Caroline struggles with changes monumental and mundane, and her relationship with the young, grieving boy who lives in the house she cleans. This show has been extended to November 11. Click here for ticket information. 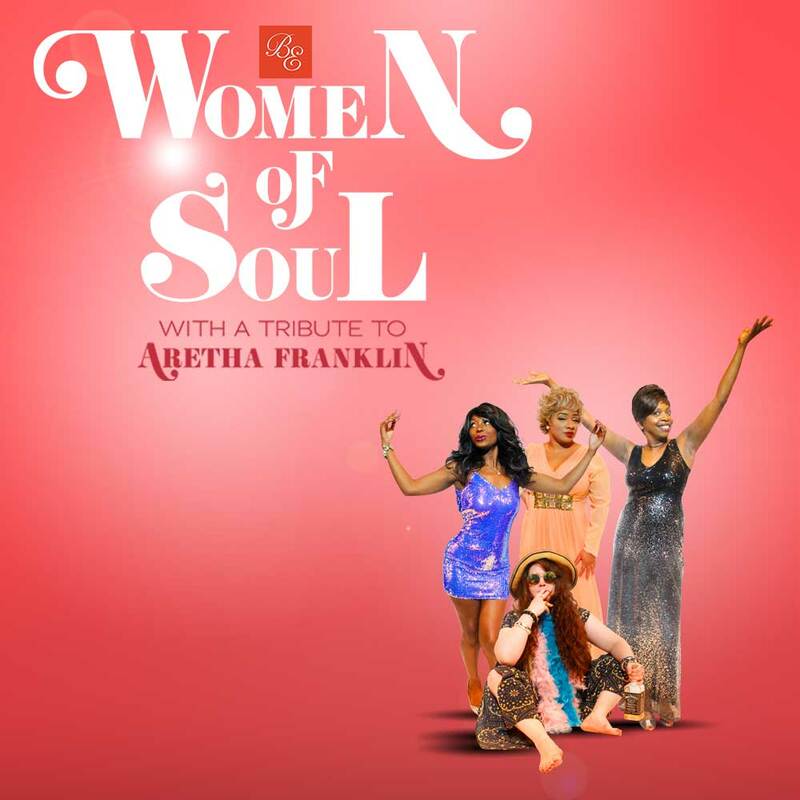 Women of Soul at the Black Ensemble Theater – With a tribute to Aretha Franklin click here for ticket information. I would like information on where and when tickets are available for purchase & any other details. Thankyou for the great information!